A national grocery chain said Sunday that it's no longer a sponsor of a series of "wellness" expositions where a man convicted in the death of his toddler was listed as a featured speaker. 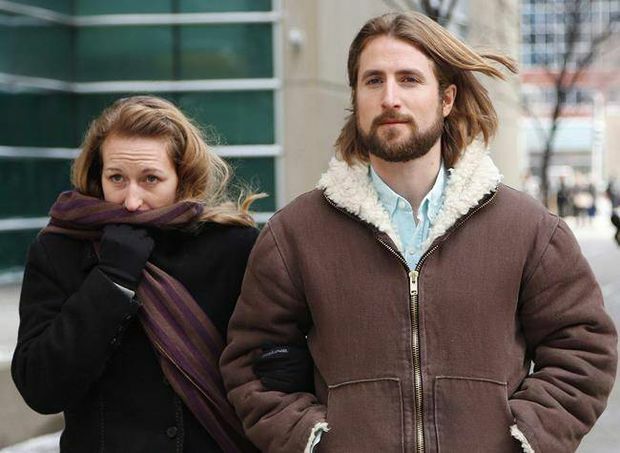 Sobeys had been sponsoring the Health and Wellness Expos of Canada, which on Sunday morning listed David Stephan as a speaker at events this month and next in Saskatoon, Winnipeg, Calgary and Edmonton. In an e-mailed statement, a spokeswoman said the company couldn't support the organizers' decision to host Stephan as a speaker. By Sunday afternoon, Stephan's name was removed from the expo's website and links to the events' schedules no longer worked. "He's no longer involved with our company in any way shape or form," said Rick Thiessen, the expo's owner, when reached by phone on Sunday. In 2016, Stephan and his wife were both found guilty of failing to provide the necessaries of life in their son Ezekiel's 2012 death from bacterial meningitis. Stephan was sentenced to four months in prison. A three-member Alberta Court of Appeal upheld the couple's conviction in November, but because the ruling wasn't unanimous they had an automatic right to have the Supreme Court hear arguments in the case. Their case is scheduled to be heard by the Supreme Court of Canada in May. Some people took to Twitter to call on Sobeys to pull its support of the expo, given Stephan's involvement. Sobeys spokeswoman Cynthia Thompson said the company won't be associated with any future Health and Wellness Expo events. The expo website previously said that Stephan works for a "research-based" organization that offers "nutrient supplementation" in an effort to improve brain and thyroid function. Thiessen said he had no knowledge of the Stephans' conviction until Saturday, when a post on the expo company's Facebook page criticized his inclusion. Thiessen said Stephan was brought to his company last year by another vendor. He said he looked at the website for the nutritional supplements company called Truehope Nutritional Support, which Stephan's family helped start, and was impressed. "I didn't really know about anything else, any other parts of their history, and I didn't search their family history. Why would I? I hired a company off the internet from their website." Thiessen said. "When you've already worked with somebody, and you see that he's there and he fills the room with people, and they all leave excited and overjoyed with what he's offering them in terms of his company's product – from a show manager's point of view, that's what we all hope to get," he added. Thiessen said his sponsors and vendors are pulling out, and he doesn't know if upcoming shows in Calgary and Edmonton will go ahead. Stephan's father, Anthony Stephan, co-founded Truehope Nutritional Support in Raymond, Alta., in 1996, after his wife took her own life. The company's website says the woman and some of the couple's 10 children had been diagnosed with bipolar disorder, so Anthony Stephan formed the company with a friend to find a natural treatment. The company says one of its products, EMPowerplus, helps treat bipolar disorder, depression and even autism. In the fine print, the website states that its claims have not been evaluated by the U.S. Food and Drug Administration, and the product is not intended to "diagnose, treat, cure or prevent any disease." Thiessen said he believes his expo company, and others that worked with him, are a casualty of someone who wanted to hurt Stephan. "Am I supporting him? No I'm not supporting him. Am I condemning him? No, I'm not condemning him, either. I just don't know enough about what the problem was that's got everybody in a tither. So rather than try to pretend that I know more, I just parted company with him this morning," Thiessen said. "I just know that I have a business to run."